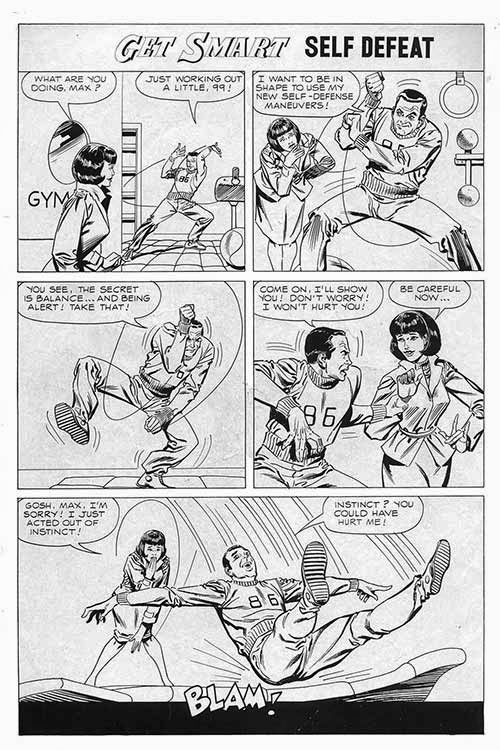 ...Steve Ditko, co-creator of Spider-Man, Dr Strange, The Creeper, and The Question penciled this page from Dell's Get Smart #2 (1966)? BTW, It's the inside front cover, so there's no color. Then Ditko penciled the inside back cover, as well. 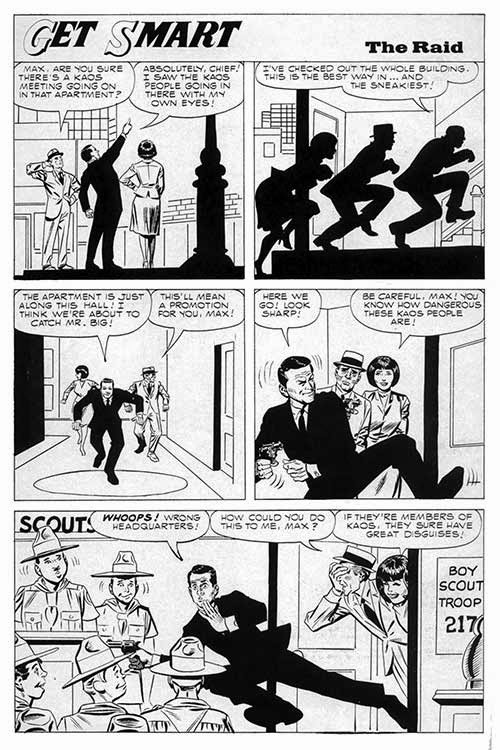 BTW, Both pages were inked by Sal Trapani. 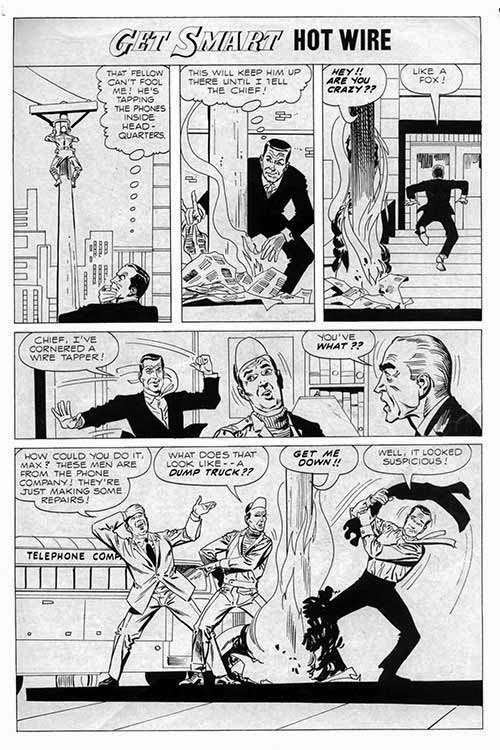 Ditko and Trapani returned in Get Smart #3 to do another inside cover one-pager. (D&T also did the longer stories that appeared in those issues. 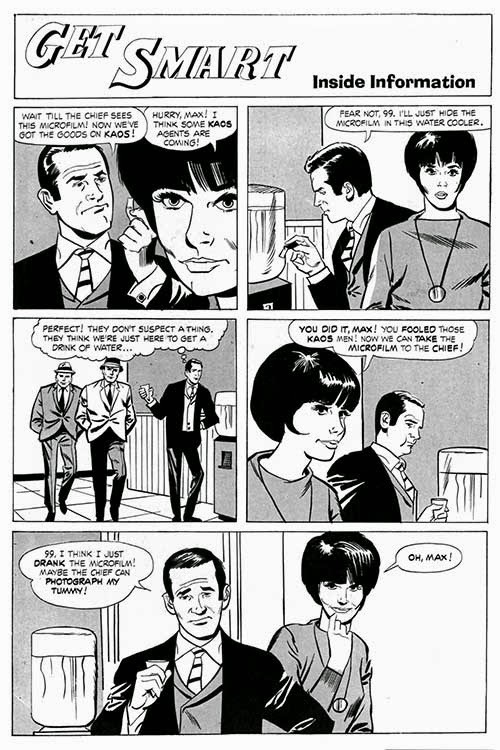 But the last one-pager, from Get Smart #4 was by the new regular artist, Tony Tallarico.